I like online shopping because basically it saves my time and money. Doing the comparison of costs, quality, service and other relevant aspects is much more convenient than doing it individually in an actual shopping experience. In such cases, within a very short period of time, I can access many websites and decide which the best option is. I don't assume but I think I am good in looking for great deals online, shopping online and finding legit online stores. Not to mention, online stores are always open and substantially lower in many ways when compared to the traditional stores. 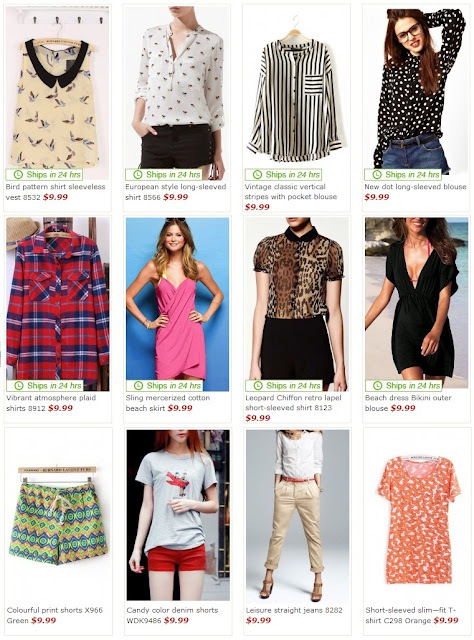 Since, I am a certified online stores hunter, here's my latest catch: the AhaIshopping.com. 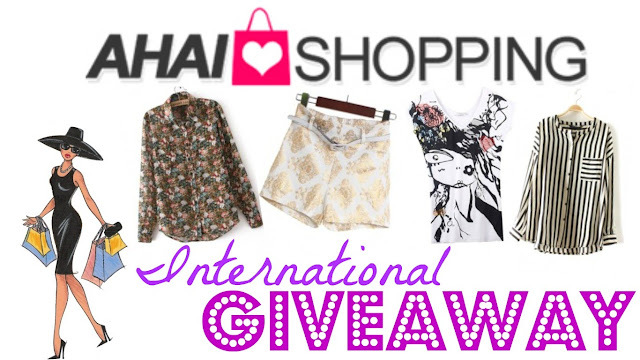 AHAIshopping is a korean & street fashion clothing online store for women; offering cheap women clothes, dresses, blouses, t-shirts, suits, skirts, pants, bags, shoes and jewelries online all good for free shipping worldwide. 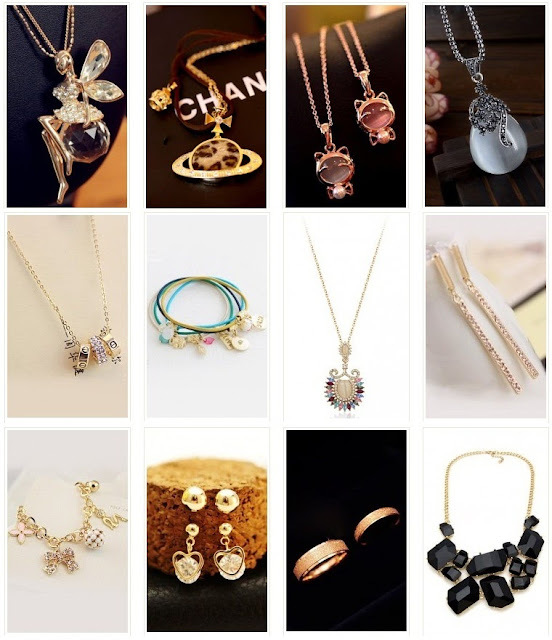 Imagine how great this online store is and if you are new here, you will receive a 3% off for the first order. Wow! Another thing, there are over 40 special offers everyday and only $9.99, so don't hesitate to put your favorite clothes into your bags, worth to do it, enjoy your shopping. Again, for as low as $9.99, get the item/s you want and enjoy the free shipping service worldwide; namely: USA, UK, Canada, Singapore, Malaysia, India, Europe, France, Germany, Greece, Indonesia, Italy, Japan, Mexico, New Zealand, Peru, Philippines, Poland, Portugal, Romania, Spain, Sweden, Switzerland, Thailand, Turkey, Australia, Austria, Brazil, Norway, Denmark and all other countries. I take this opportunity to speak to you about AHAIshopping and their latest offering plus serving you another International Giveaway that am pretty sure you all would love. Prizes are vouchers to spend in store. At the end of this contest, there will be a total of two winners to be chosen randomly and will receive a free clothes totally cost $30 as prizes each if there are over 100 valid contestants in this giveaway. In the event that will only be a less than 100 valid competitors in this giveaway, don't fret; will still going to pick two winners to receive $15 cash bonus each. So, call all your friends to join here. So, without further ado, here's the contest mechanics. Just complete all what's in the rafflecopter widget. You will also get more entries when you tweet or share this contest daily to your social media accounts. Don't also forget to complete what is mandatory to comment on this post. The Promotion begins on July 25, 2013 and ends on August 16, 2013. Open internationally. The winners will be selected randomly. Shall only be accounted reviews matching, in full, to what was asked. Who does not comply with all the rules will be disqualified without notice. The winners will be contacted through the e-mail provided they provided in the email comment below. The winners must respond to my email within 3 days after sending the mails to the winner’s inbox. The delivery of prizes is the sole responsibility of the sponsoring company. By participating in this contest, you agree to all the information mentioned. These terms may be changed at any time, if necessary. Good luck to all of you and spread the good words.